That’s all, folks. 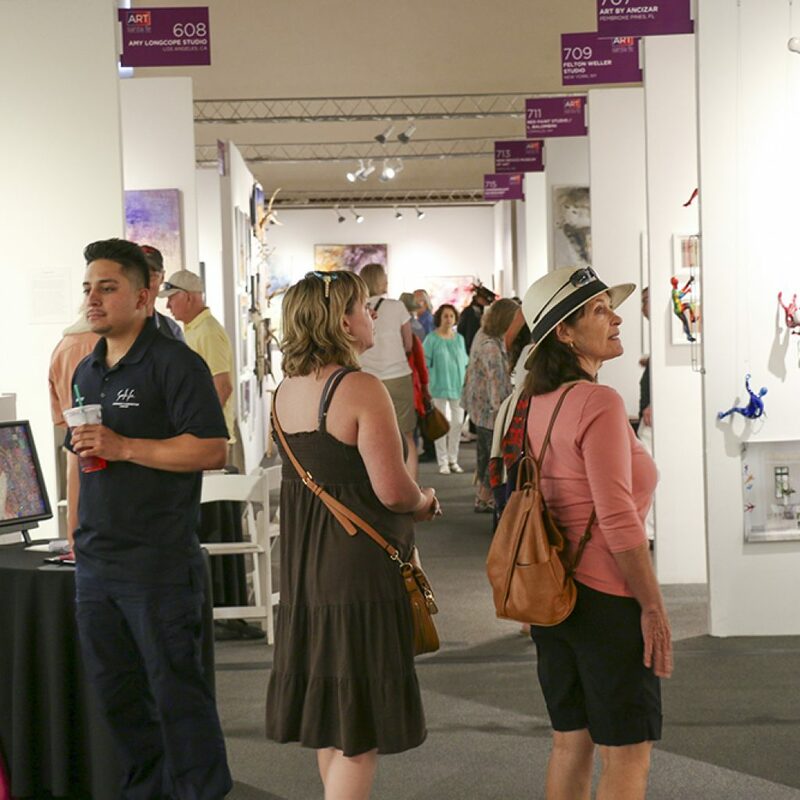 The 17th edition of Art Santa Fe was a smashing success, proving, yet again, that Santa Fe’s art scene is one of the best you will find anywhere. 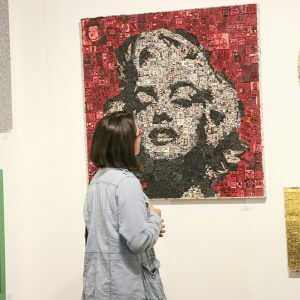 Attendees have flown home after spending a weekend exploring world-class modern and contemporary art. 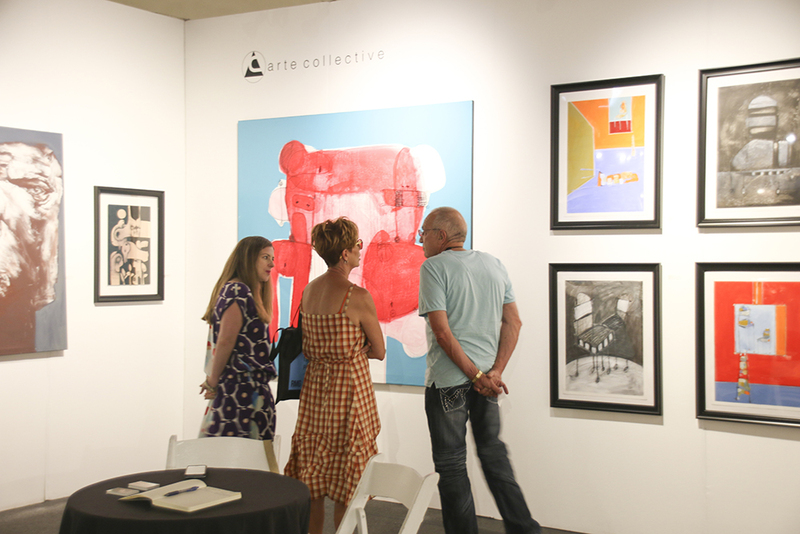 Artists are shipping their pieces to their new owners and following up with gallery owners who stopped by their booths. 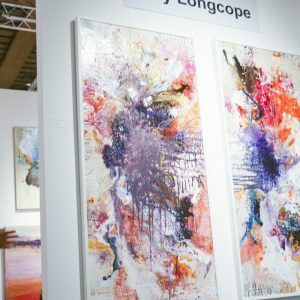 The Redwood Media Group production team is carefully storing the artwork of exhibitors who are showing at Art San Diego—but we just want to keep reliving this amazing art experience! 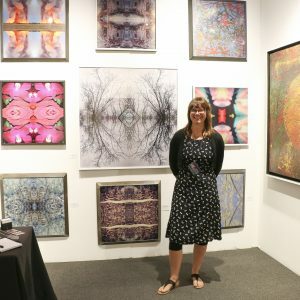 Whether you were there and want to relive the highlights with us or you couldn’t make it this year and want to get excited about next year’s show, read on for a recap of Art Santa Fe 2017. 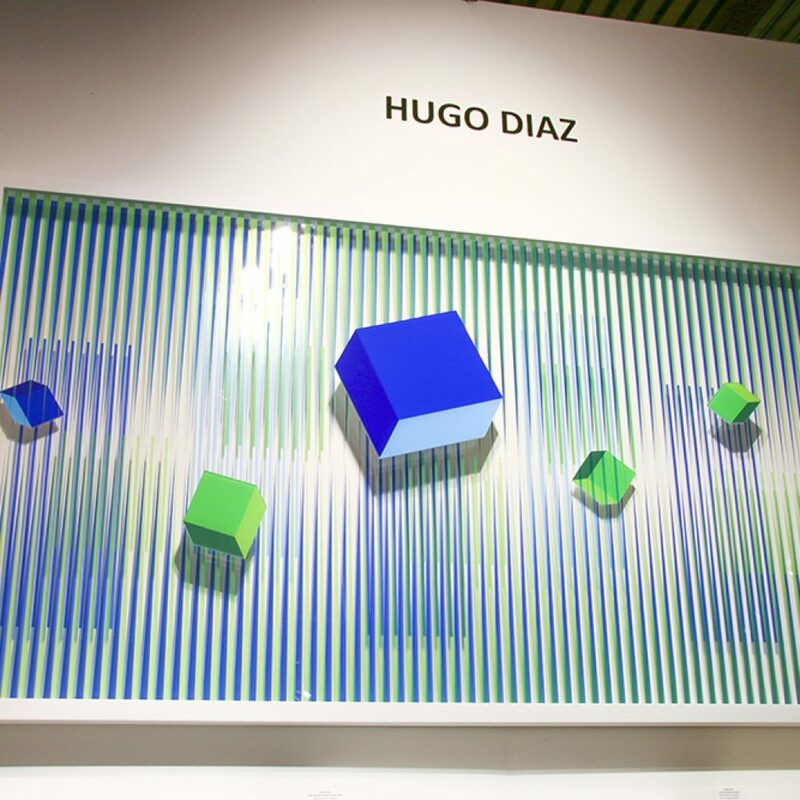 Self-taught artist Hugo Diaz’s work encompasses geometric abstract forms, figurative color, lines, and light. David Gonzales, official artist for the 2017 Albuquerque Hot Air Balloon Fiesta and one of the 2017 [PLATFORM] Artist of the Year finalists, paints his next work of art. 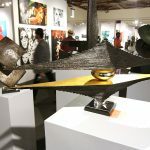 Sculptor Ancizar Marin creates figurative forms that engage with one another in dynamic groupings. True West Gallery of Santa Fe featured five artists at Art Santa Fe. 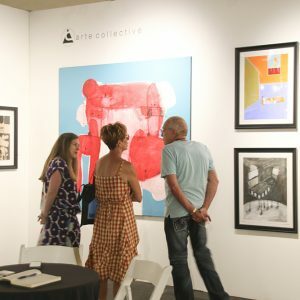 More than 8,000 culture vultures descended on the Santa Fe Community Convention Center from July 13–16 to enjoy the showcase of contemporary artwork from over 60 international galleries and studio artists. 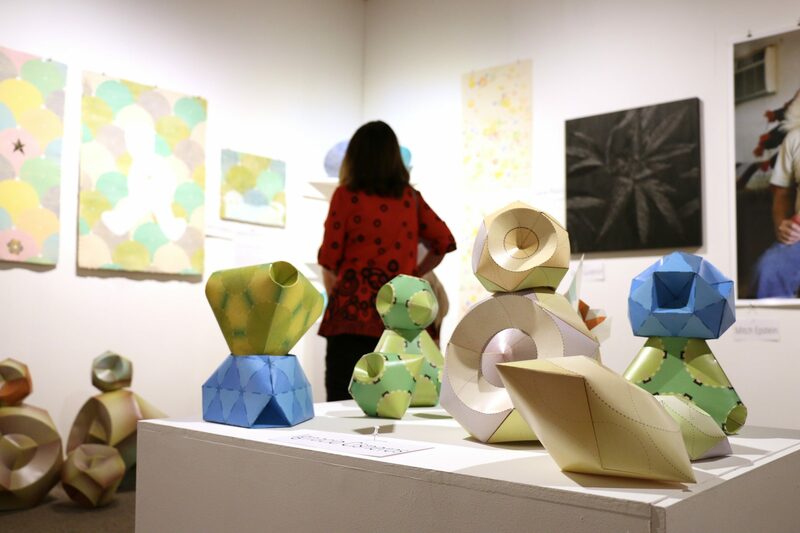 Just check out buzz Art Santa Fe made in the news! Emerging LaunchPad Artist Welde Carmichael wowed us with his body of mixed media and encaustic works, inspired in part by his interest in Taoism and Buddhism. Siri Hollander stunned us with her unique sculptural style and trademark texture. Arin Dineen’s original oil paintings invited us to question what gets preserved, who is remembered, and what will stand long after we are gone. Sandy Vaillancourt told stories about the people, places, and scenes from everyday life that inspire her oil and watercolor paintings. 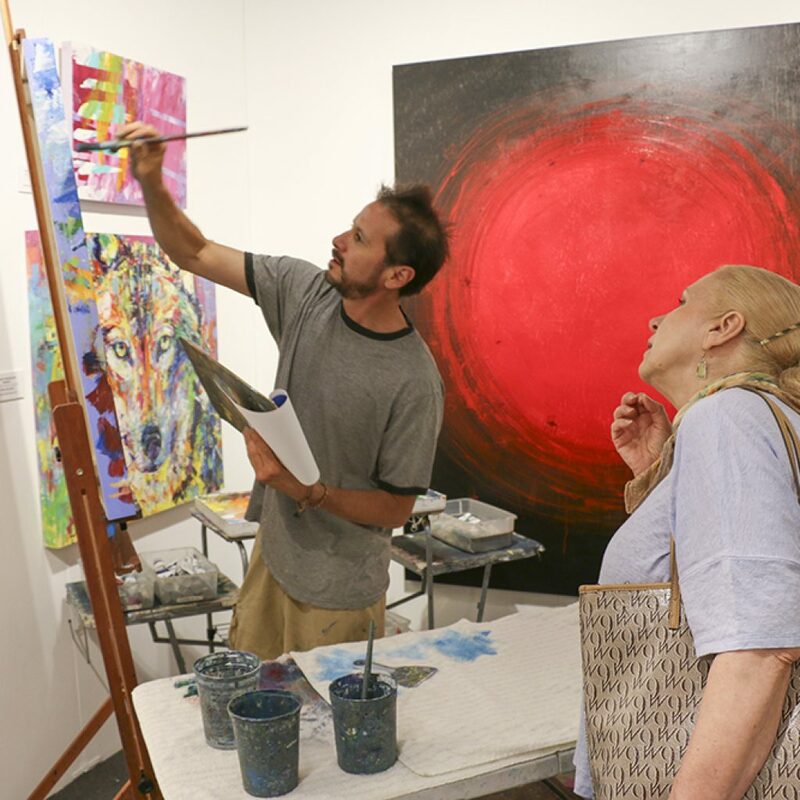 From riveting Art Talks to Meet the Artist events and live demonstrations, Art Santa Fe’s highly acclaimed programming offered attendees the rare opportunity to get up close and personal with the artistic process. 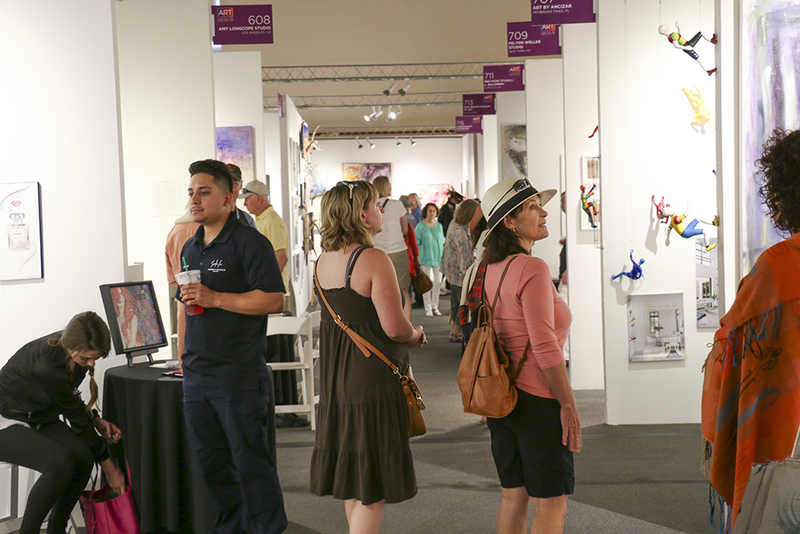 We were proud to honor select Art Santa Fe exhibitors with special recognition for their talents and efforts. Congratulations to all of this year’s award winners! Contemporary Art Projects USA sold Ricardo Lowenberg’s Mi Frida III for $25,000; Kelly Fischer’s St. Bernard Pass II for $6,500; Zammy Migdal’s Translation for $40,000; and a Zammy Migdal wall sculpture commission for $30,000. 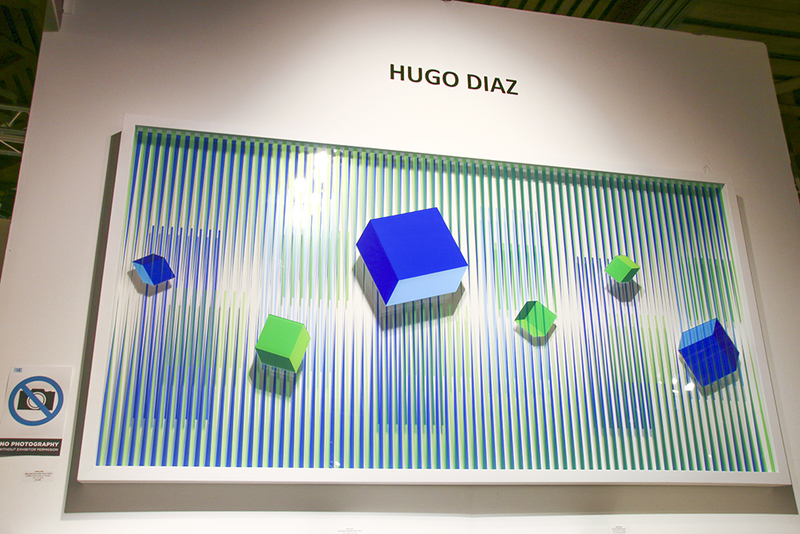 The Collazo Collection sold A New Day Tomorrow for $15,000. Rainforest Baskets sold a Requita Pena basket for $7,500; 11 masks; and one sculpture. GK Fine Art sold more than 20 pieces, including four traditional crane vases by Boksik Ji and 12 pieces of ceramic wall art by Changho Ahn. 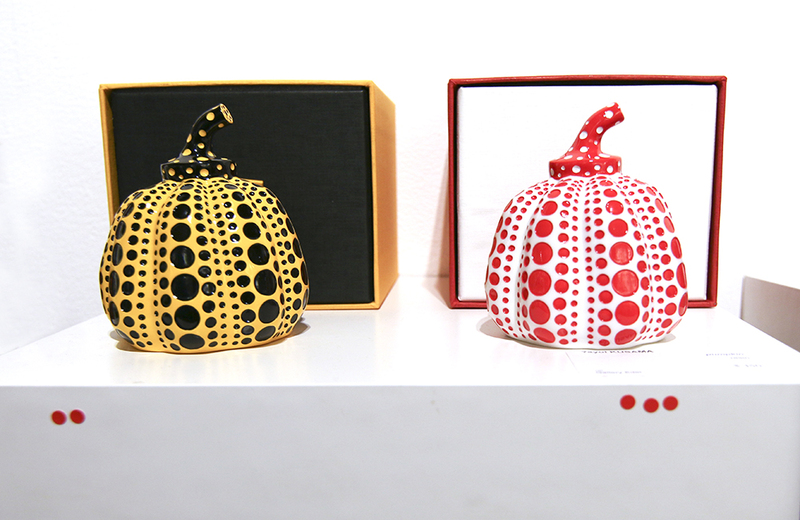 Gallery Edel sold a Yayoi Kusama drawing for $10,000 and four of her Pumpkin sculptures for $450 each. 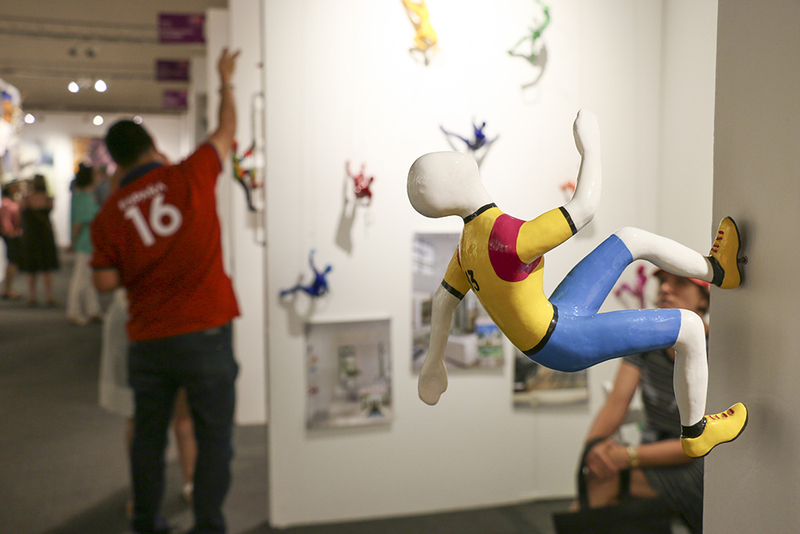 Ancizar Marin of Art by Ancizar sold 10 sculptures. Alfred Addo sold Head of the Pride for $4,300 and Patterns of the World, a series of three panels, for $3,900. Gedion Nyanhongo sold his Comfort of Love sculpture for $7,800. 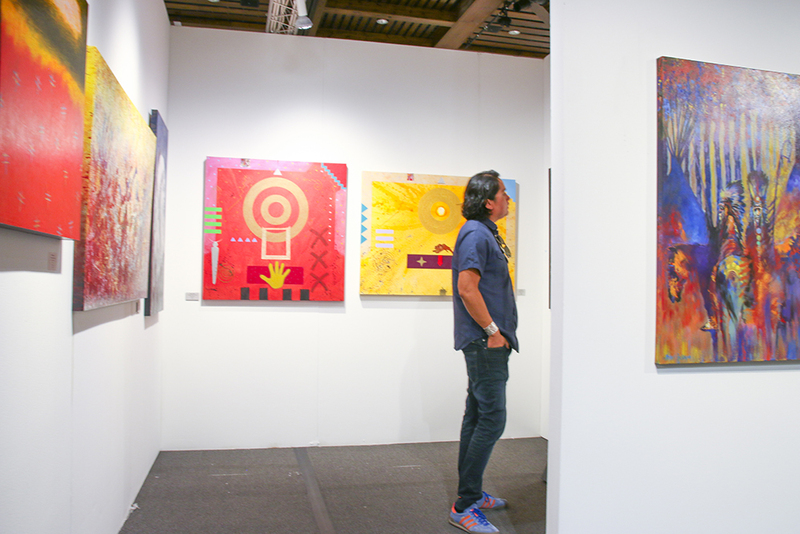 Pippin Contemporary sold Rich & Flowing Color by Aleta Pippin for $5,000 and Far Beyond Time by Cody Hooper $5,800. True West Gallery sold five pieces, including David Johns’ Masked Spirit 1984 for $13,000 and Yellowman’s Sons of Thunder for $7,500. Sonja Metzler sold four sculptures, including Oracle for $5,550 and Indlovu for $3,400. 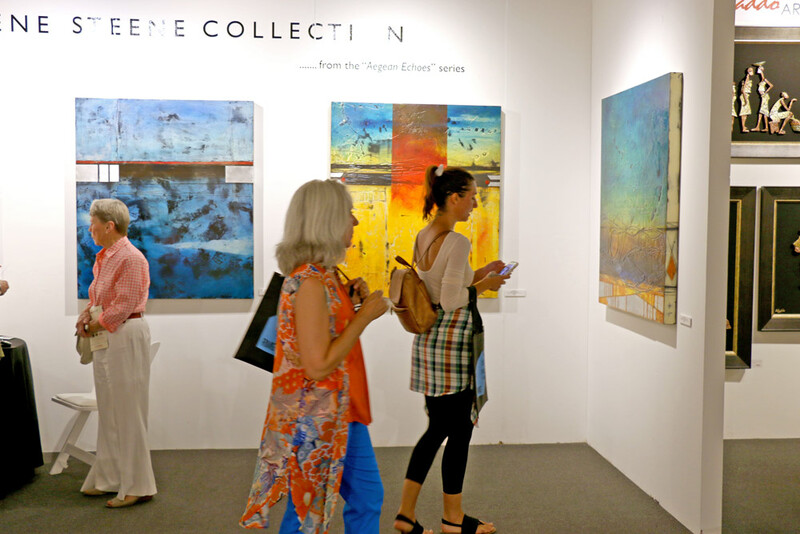 Julie Schumer sold three paintings, including Violet & Ochre I and II for $2,800 each and Composition with Turquoise for $5,200. 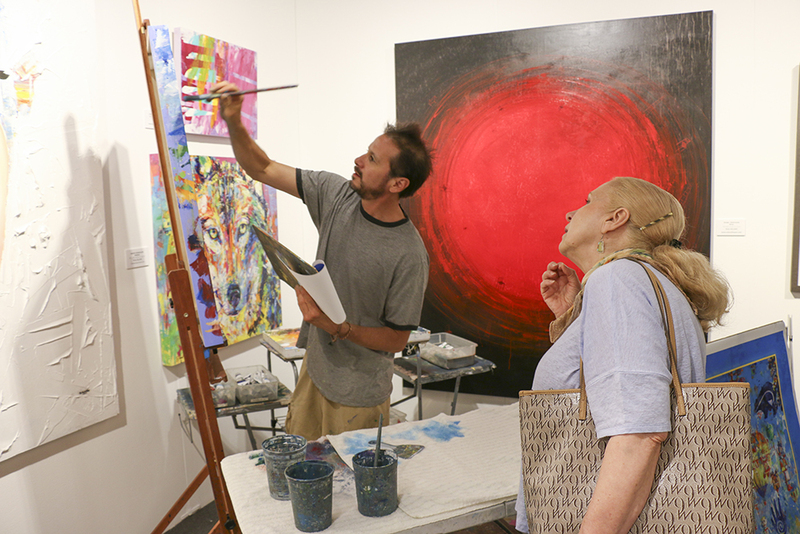 David Perez Escudero of InArt Gallery sold two original paintings for $4,800 each. Arte Collective featured work by Valenz. 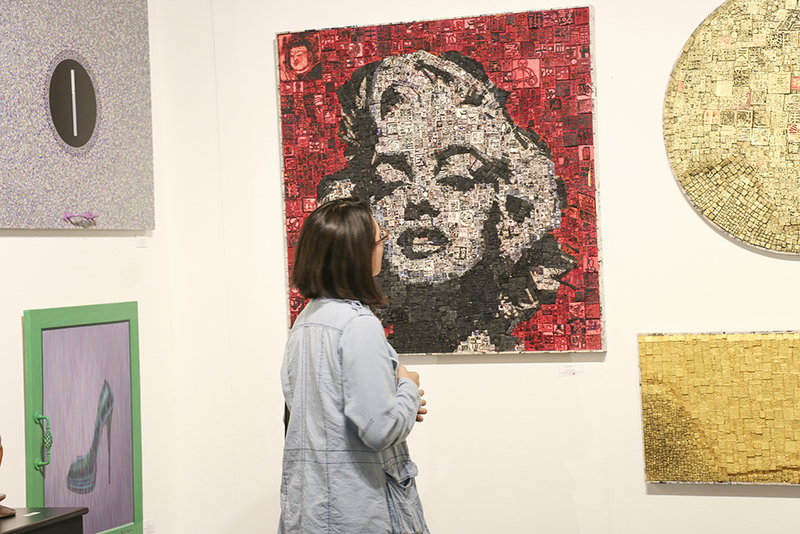 An attendee enjoys works by Park Fine Art artists. 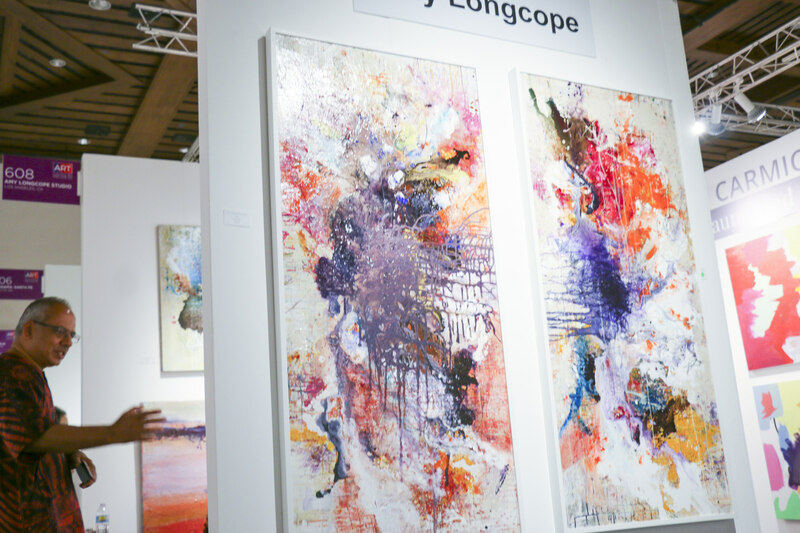 Abstract painter Amy Longcope uses beautiful colors and shapes to evoke thought and emotion. 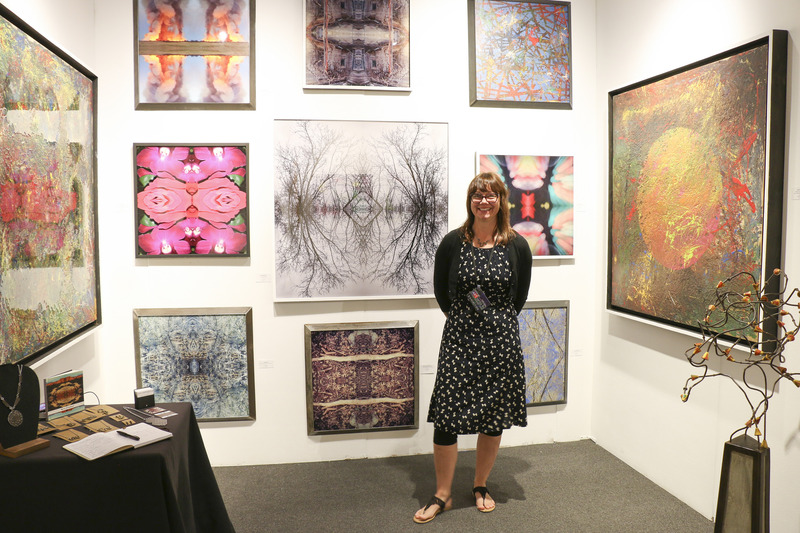 Rachel Alber of Industrial Gem is best known for her elegant, abstract multimedia photographic designs. Redwood Media Group is renowned for its attention to detail and personalized focus when it comes to ensuring exhibitors’ satisfaction. 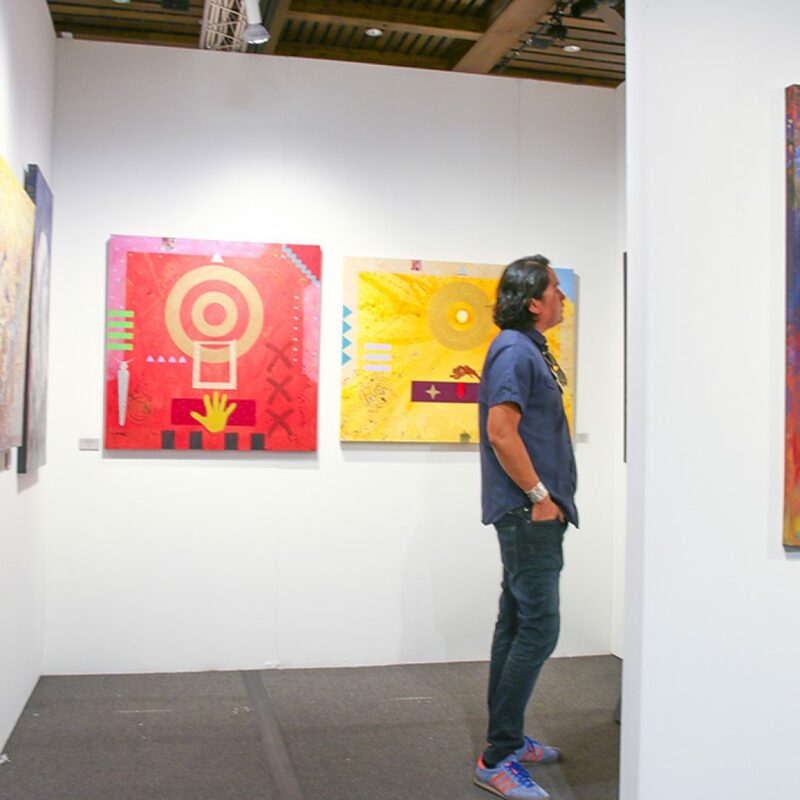 For example, when exhibitor David Rudolph added a few more lights to his booth to dramatically highlight the artwork, he sold two original pieces—appropriately titled Light Switch—for $800 each in less than 10 minutes. 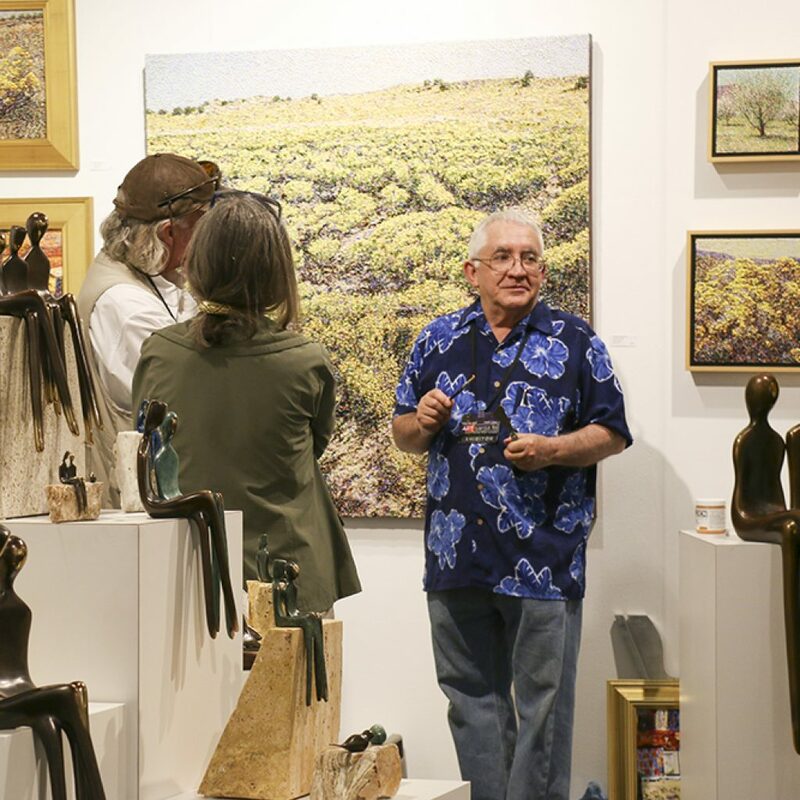 Then, on Saturday, a couple from San Antonio arrived in town with the expressed intention of coming to Art Santa Fe to collect art for their new home. They not only bought Ricardo Lowenberg’s Mi Frida III, Kelly Fischer’s St. Bernard Pass II, and Alfred Addo’s Head of the Pride, but they also purchased Zammy Migdal’s Translation wall installation for their patio and pool area and commissioned another Zammy Migdal sculpture for their entryway. 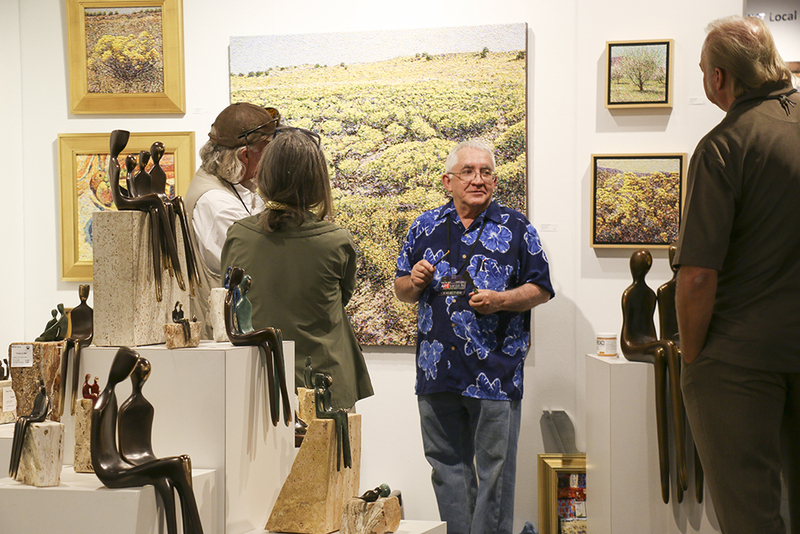 We hope you’ll join us next year for an even more amazing Art Santa Fe! Mark your calendars for summer 2018 as we return to one of the country’s top arts destinations. To stay in the loop, sign up for our email newsletter and keep up with us on Facebook, Twitter, and Instagram for show updates, news, artist features, and much more. A huge thank you to this year’s exhibitors, sponsors, volunteers, and attendees. We couldn’t have made the show happen without you! InArt Gallery of Santa Fe featured the work of David Escudero and Jenny Cocq. 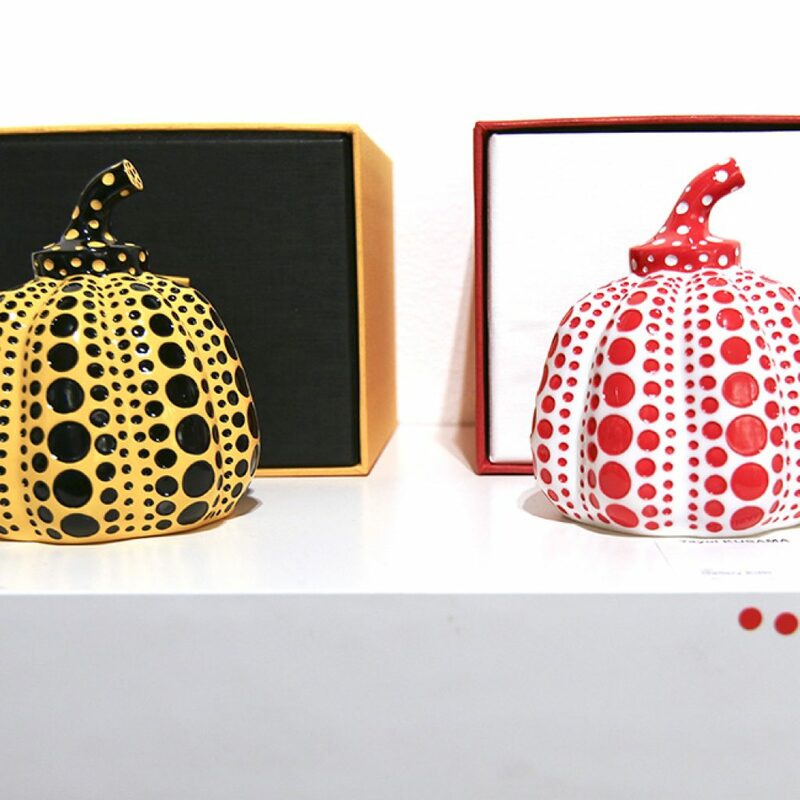 Gallery Edel from Osaka, Japan, included work from internationally renowned artist Yayoi Kusama in its exhibition.